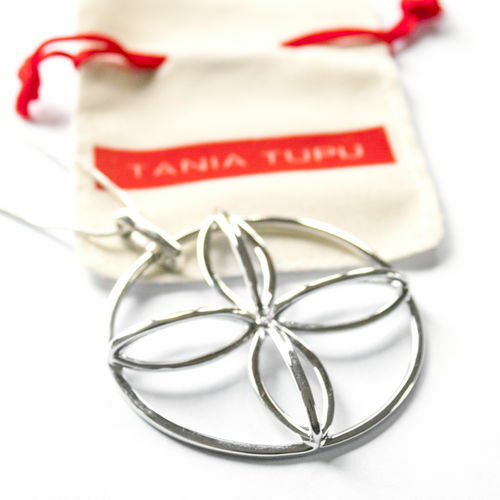 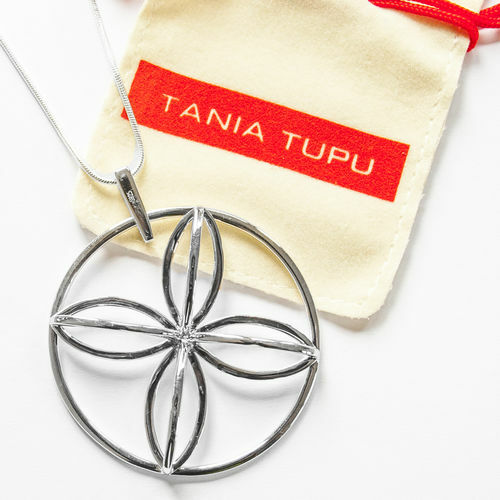 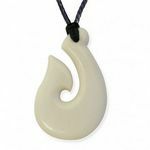 This piece is from Tania Tupu's Collection. 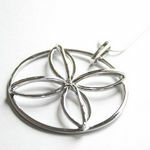 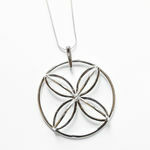 This sterling silver pendant is a raised aloha pendant which comes on a silver omega wire necklace. 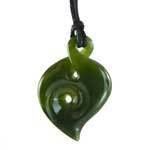 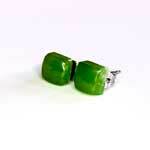 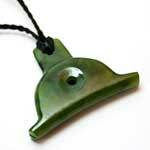 The pendant measures 50mm x 50mm and the necklace is 400mm long. 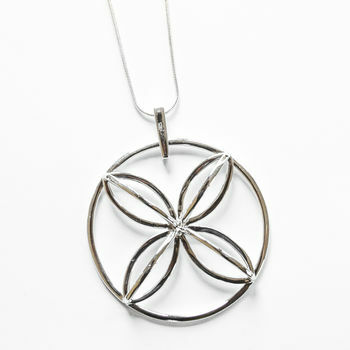 The pendant is sterling silver with rhodium plating finish.